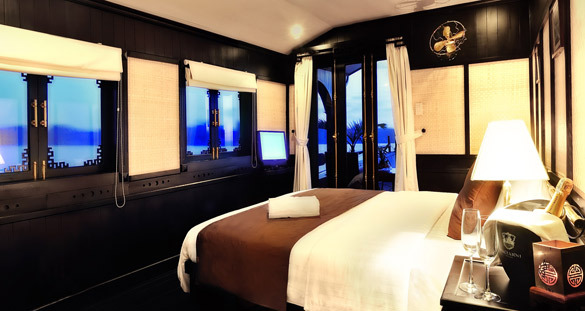 The three day/two night cruises give more opportunities to explore out of the way places and indulge in the natural wonder of Halong Bay. See the magnificent limestone islets and outcrops lined-up across the emerald sea. Explore a remote fishing village to view the daily lives of the locals. 6.15. 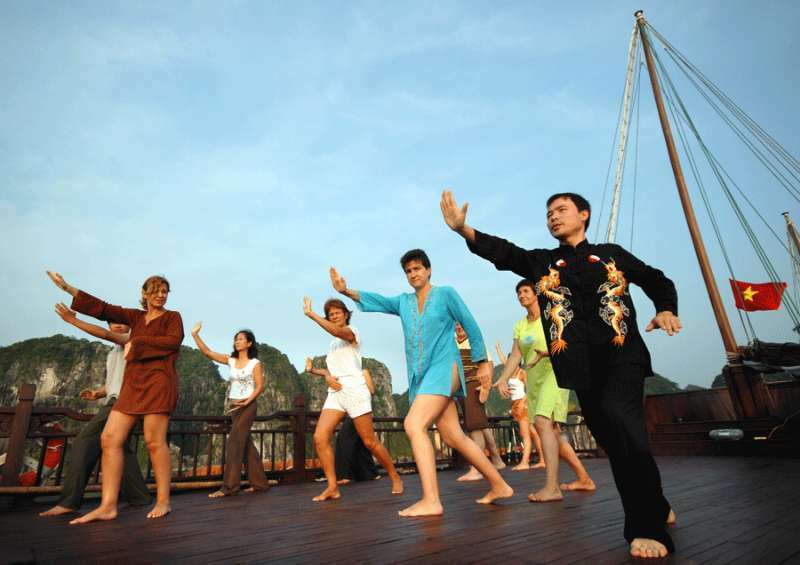 Start your day with Tai Chi on the Sundeck. 7.00. 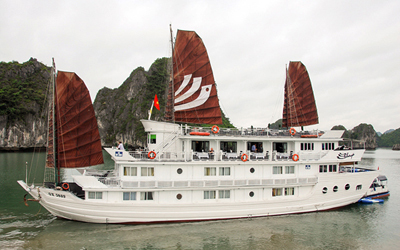 Bhaya Classic weighs anchor to cruise the Bay. Early breakfast in the Dining Room. 10.00. Guided kayaking, swimming & snorkeling at Three Peach Beach, a pristine natural beach lapped by the turquoise water. 12.00. Fresh seafood lunch is served onboard. 13.30. Continue on to discover Ho Ba Ham Islet, the most remote point in Lan Ha Bay and bordering the Gulf of Tonkin. 16.00. Return to Bhaya Classic. 17.00. The vessel cruises back through the bay to its overnight anchorage near Ho Dong Tien. Happy Hour & Vietnamese cooking demonstration on the Sundeck.